If you’ve ever ordered a beer in public, there’s almost a 100% chance that you’ve been served your drink in a shaker glass, which we’ve been duped into calling a pint glass. 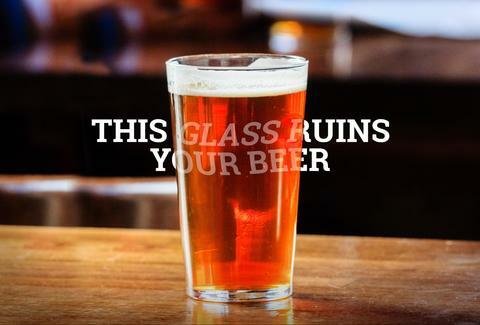 And while those generic glasses are fine for serving water, they’re kind of the worst when it comes to beer. Here’s why. As the name suggests, shakers have been used behind the bar for more than a century to -- yup! -- shake cocktails. Thanks to their ubiquitous beginnings, easy stackability, and durable builds, the glasses were used for beer beginning in the post-Prohibition era when American beers were low-alcohol, bland lagers. The practice stuck, and now you get your craft beer in the same glass as your iced coffee. The shape of a shaker forces you to grasp the beer with your palm. Your full, sweaty, stinky palm. Even when served colder than average, your body temperature will raise the temperature of your brew faster than you think. 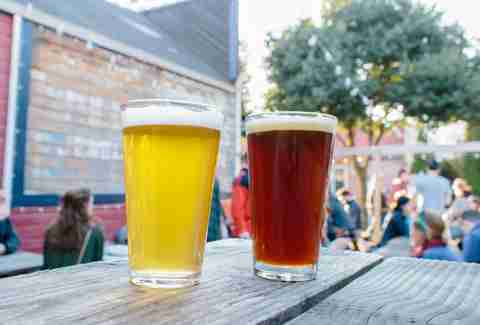 Look, you don’t have to be a beer snob to realize that certain beers fare better when you forego the “pint.” Decreased surface area helps in head retention (a key element of many well-crafted beers). The bulb and narrower mouth of a tulip helps direct aromas straight to your nose, which is huge for beers like spicy Belgian styles and floral IPAs. You’ve probably also noticed that many bars use specific Hefeweizen glasses, which are taller and larger to accommodate their pillowy head. There’s a science to this stuff. And luckily, brewers did the homework for you. Would you serve wine in a pint glass? Would you serve bourbon to the rim in a coffee mug? (On second thought, don’t answer that.) With ABVs regularly hitting the 7-8% range, you’re already nearly doubling your alcohol intake from traditional light draft beers (especially when you consider how quickly beers get sipped). As much as you may want to think that 16oz of a 12% imperial stout is a great thing, it’s like ordering a 72oz steak: just because you can do it doesn’t mean you should do it. If you’re still that mad about it, well, order two. It’s simple mechanics: a narrower mouth on a glass that’s easier to grip stably is harder to slosh beer out of. 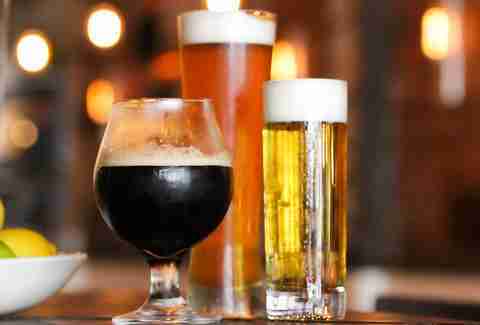 The less beer you spill is more beer that you can drink, and that is a situation that should make everyone happier. 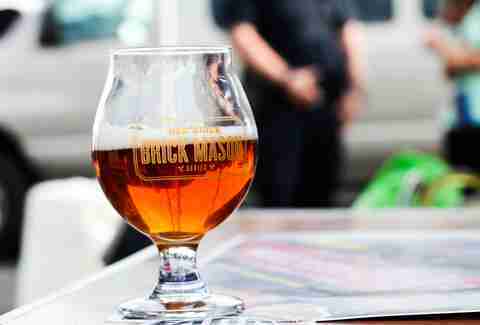 Just like that ill-fitting brewery T-shirt you insist on wearing on dates, over-the-top tap handles, or gaudy coasters, shaker pints are more often than not a last-ditch effort to get a logo in front of your face. Bars readily accept them from distributors because -- surprise -- free glassware is cheaper than not-free glassware. And while some breweries go to great lengths to provide proper drinking vessels to bars, most go the cheap route. On top of alcohol content concerns, part of the beauty of using a tulip or snifter is that it drastically reduces the cost of the pour. Bartenders and beer drinkers alike are a lot more comfortable with $7 tulips than they are with $12 pints. Your credit card statement will thank you.